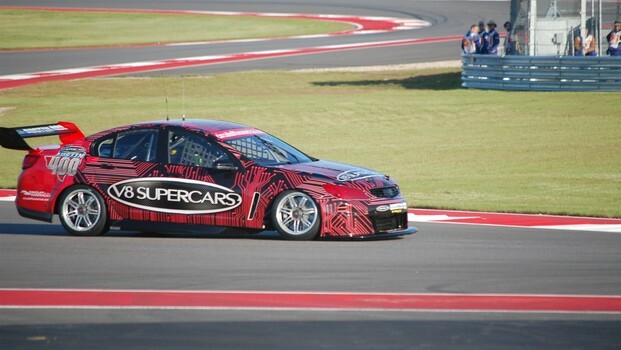 More informationhas been released in relation to the format of the V8 Supercars Austin 400, tobe held in Texas next month. The event – whichwill run for the first time at the Circuit of the Americas – will use the sameformat as the ITM 400 Auckland with four 100km races. However, in Austin teamswill be required to complete pitstops. The stops will befor tyre changes – but not refueling – in all four races. "The racedistances ensure there's flag to flag racing on the one tank of fuel, howeverwe felt to really showcase our sport we needed to show off the whole team inaction,” General Manager – Motorsport Damien White said. "Seeing how quicklythe crews can change all four tyres is impressive and will further endorse ourproduct in the eyes of a new audience." Additionally, PracticeOne on Friday, which is usually reserved for rookies and drivers in the lowerhalf of the Championship points, will see all drivers eligible for all sessions– again, similarly to Pukekohe. White believes itis fairer to allow all cars the same amount of track time in Practice whentraveling to a new circuit. "Obviously theCircuit of the Americas is new to us and with the same number of tyresavailable to all teams it made sense that all drivers had the same amount oftrack time available," he said. The Texas400 at the Circuit of the Americas runs next month from May 17-19.